Product Article Number (Market Facing Number) 6ES7223-1PL22-0XA0 Produ.. Product Article Number (Market Facing Number) 6ES7223-1PM22-0XA0 Produ.. Product Article Number (Market Facing Number) 6ES7231-0HC00-0XA0 Produ.. Product Article Number (Market Facing Number) 6ES7231-0HC22-0XA0 Produ.. 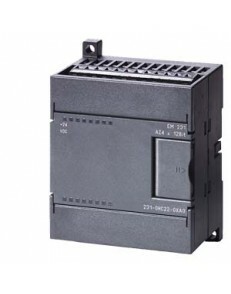 Product Article Number (Market Facing Number) 6ES7231-0HF22-0XA0 Produ..
Siemens SIMATIC S7-200, RTD INPUT MOD. EM 231, FOR S7-22X CPU ONLY, 2AI, PT100/200/500/1000/10000 NI.. Product Article Number (Market Facing Number) 6ES7231-7PC22-0XA0 Produ.. Product Article Number (Market Facing Number) 6ES7231-7PD21-0XA0 Produ.. Product Article Number (Market Facing Number) 6ES7231-7PD22-0XA0 Produ.. Product Article Number (Market Facing Number) 6ES7231-7PF22-0XA0 Produ..